What a great place conveniently located next to LA Fitness in the Pine Trail Square Shopping Plaza. Parking can be limited at times, so you may want to park across the street. Plenty of little shopping carts in front of the store and nice wide entrance doors. Clean and well lit areas invite you inside. Great selections of fresh fruits and vegetables, assortments of beans of all types, a good size dairy section with salads and ready-made sandwiches, breads, flatbreads and cookies. 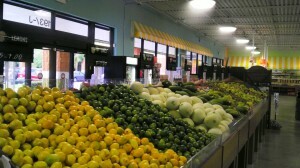 Organic produce, fruit and vegetable platters, fresh squeezed juices and fruit smoothies. What’s good about these smaller local green markets is that you can come in, find what you need and check out pretty quickly. 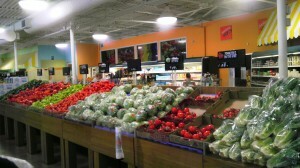 There are no long isles to go through if all you need is just fruits and veggies. 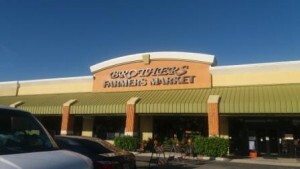 They have 5 cash registers available and usually 2 are always open, service is quick and easy. They accept cash and credit/debit cards. 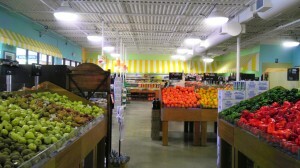 The store is clean and the employees are very friendly and helpful to their customers.